A most creditable eighth place finish was the end result for Christy Bristol of the Seychelles at the recent 2018 ITTF African Top 16 Cup staged in the Kenyan capital city of Nairobi. 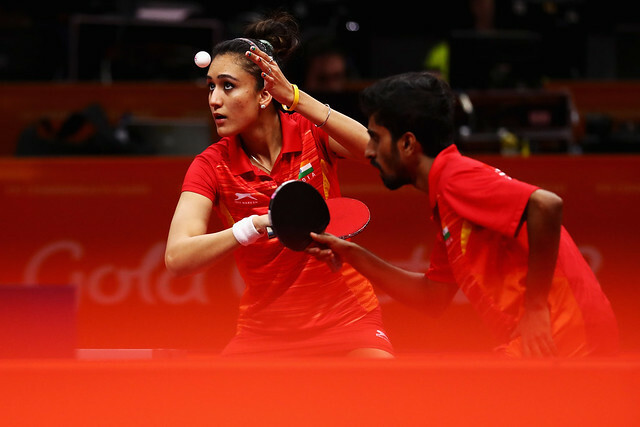 Now the 23 year old from the Indian Ocean island is looking forward eagerly to her next challenge; undoubtedly she is presently enjoying the best moments of her table tennis career. She will be on duty at the forthcoming 2018 Commonwealth Games which start in Gold Coast Australia on Wednesday 4th April. It will be her second appearance in the multi-sort quadrennial event; she made her debut four years ago in Glasgow, Scotland. She is determined to enjoy every second on the east coast of Australia. “This is my second appearances at a Commonwealth Games; for me to be representing my country for a second time is a great achievement. I am mentally, physically and spiritually ready. We have not had much time left after the Kenya tournament. I am going to Gold Coast to give my best and perform to my best ability. A qualified physiotherapy technician, Christy Bristol was a bronze medallist at the 2011 Indian Ocean Games.